The Muslim community in Taranaki is devasted by the news of the senseless act of violence perpetrated against our brother and sisters in Christchurch. 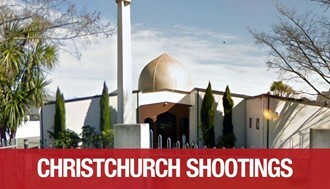 We strongly condemned this mass shooting and act of terrorism against innocent people who were praying in two Christchurch Mosques. Our prayers and thoughts go out to the victims, their loved ones and all those affected by this atrocity. We cannot even begin to feel your pain. In these divisive times it is a reminder of the dangers of dehumanising fellow human beings. It is a reminder of the catastrophic effects of blind hatred, dangerous and biased media coverage. Start a conversation, get to know your Muslim colleagues, neighbours and peers. We are deeply touched and grateful by the outpouring of aroha (love) and support from the local community, media and authorities. We are appreciative of every email, message, phone call or bouquet of flowers, every offer to walk with us.